Articles about the well-appointed guest room aren't really relevant to me considering that my home's second bedroom now serves as my study. If, however, that well-appointed guest bedroom can serve as inspiration for my own bedroom, well then, that is relevant. 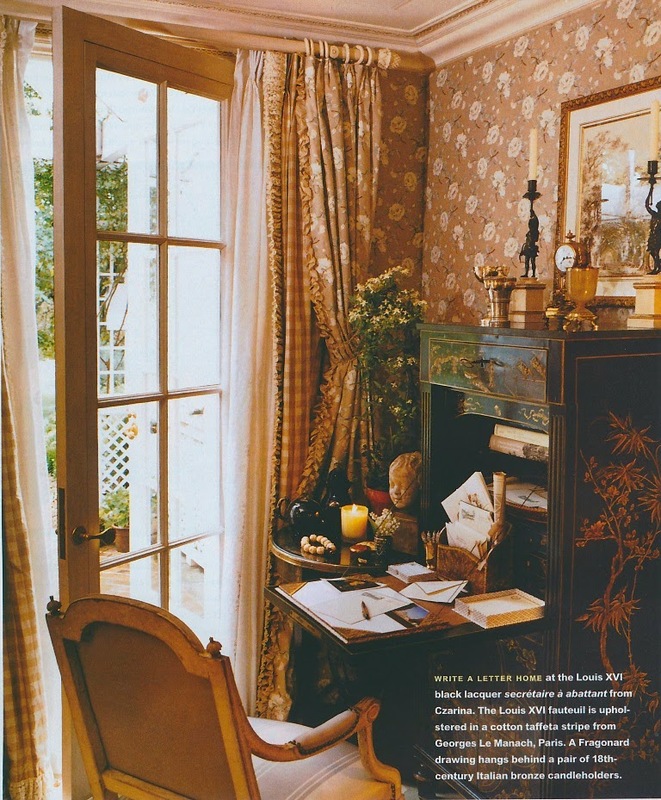 Such is the case with this January 1999 House & Garden article, which featured a guest room that was exquisitely decorated by Howard Slatkin. 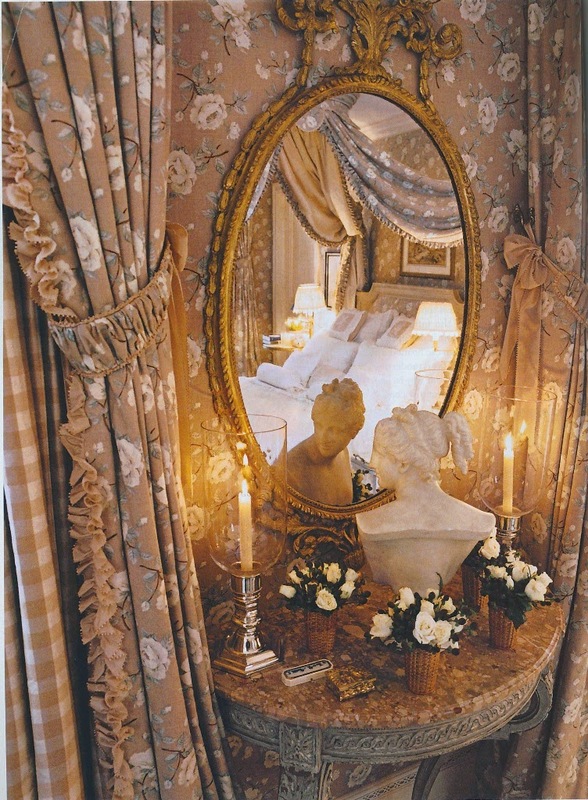 Slatkin also penned the article's text, which laid out the gracious necessities that all guest rooms should have. According to the designer, these include adequate light for reading, snacks, a well-stocked medicine cabinet, and disposable slippers. As helpful as this checklist is, it is the room's decor that is the real draw here. The painted floor, the lit à la polonaise, and the rose-print fabric used on walls, windows, and bed canopy all help to create a space that few guests would ever want to leave. 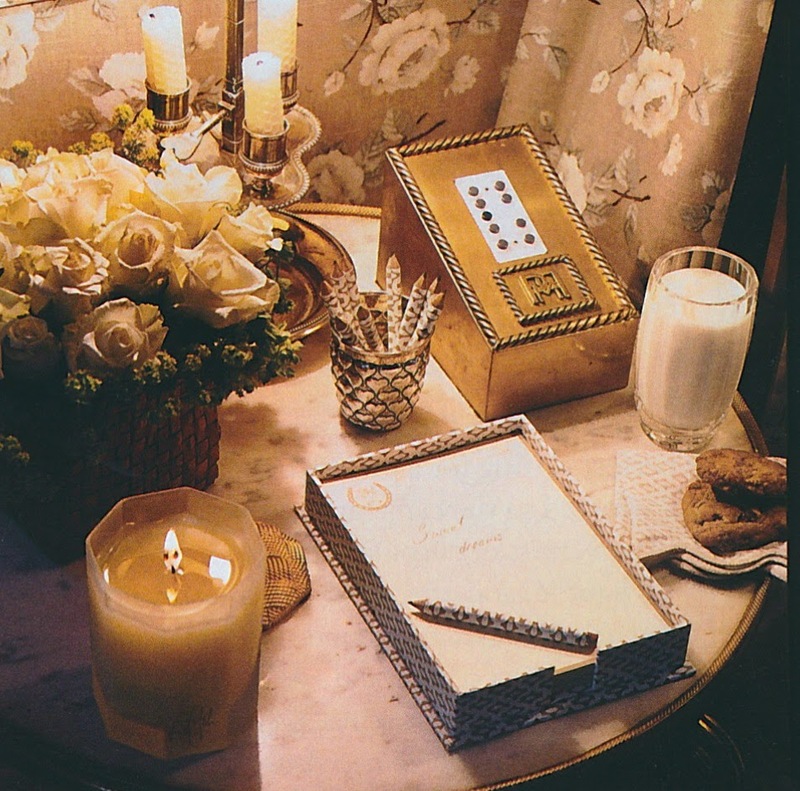 And then there are the details: small wicker baskets that hold roses and hyacinths; elegant notepads with matching pencils; Porthault bed linen. Really, it is enough to make me exasperated by my own bedroom. Perhaps I need to spoil myself as I would a guest in my home and create an oasis of beauty in which to slumber. P.S.- The rose-print fabric was custom designed by Slatkin. 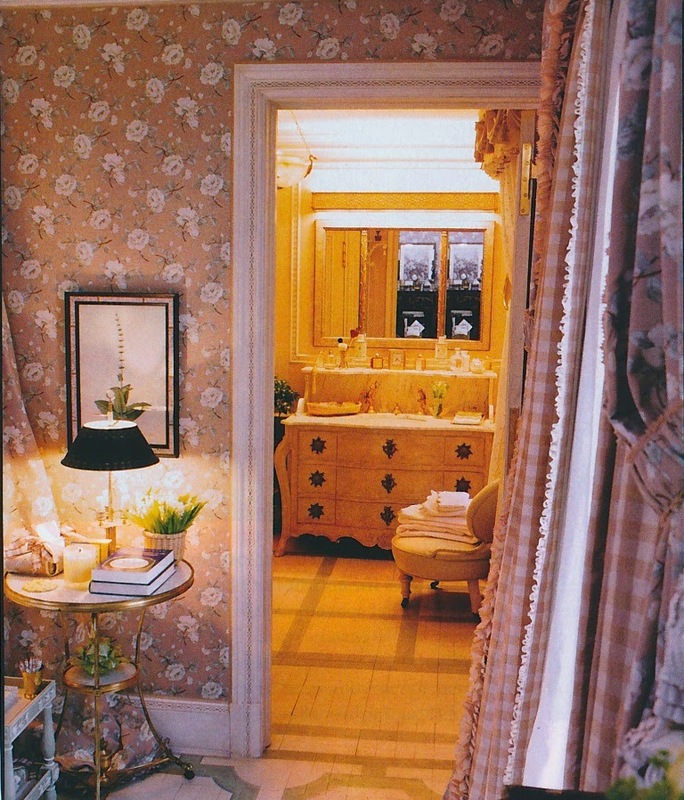 All photos from House & Garden, January 1999, Claus Wickrath photographer. Lovely room, most thoughtfully appointed. Thank you for such an inspiring post. I am ready to check in! I love this room. 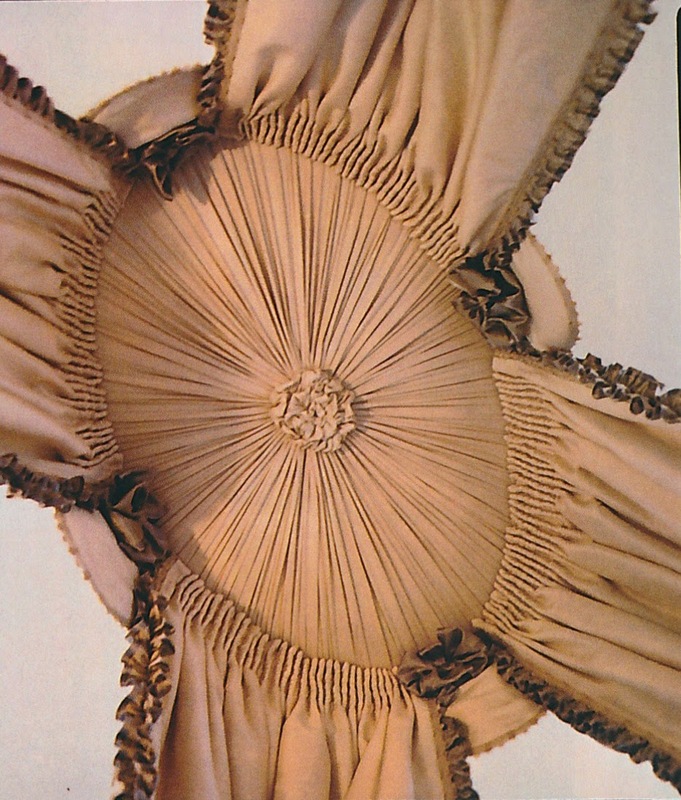 I especially love the view from the bed looking up under the canopy crown. The small ruffles with gimping shear edges are a nice feminine detail among all the roses. Thanks for sharing. I adore Howard Slatkin's view of the world—lovely, gracious, beautiful and not one top that he hasn't gone over...many times. I'm with you about not having a designated guest room. Unless you have more rooms than you can use, I think in today's world, it makes sense truly to make your home your own. BTW, we've chosen our smallest bedroom as our "sleeping chamber" and use the other four bedrooms as an upstairs TV room, two offices and a library. Works for me. ps I am with you about making your bedroom super wonderful! 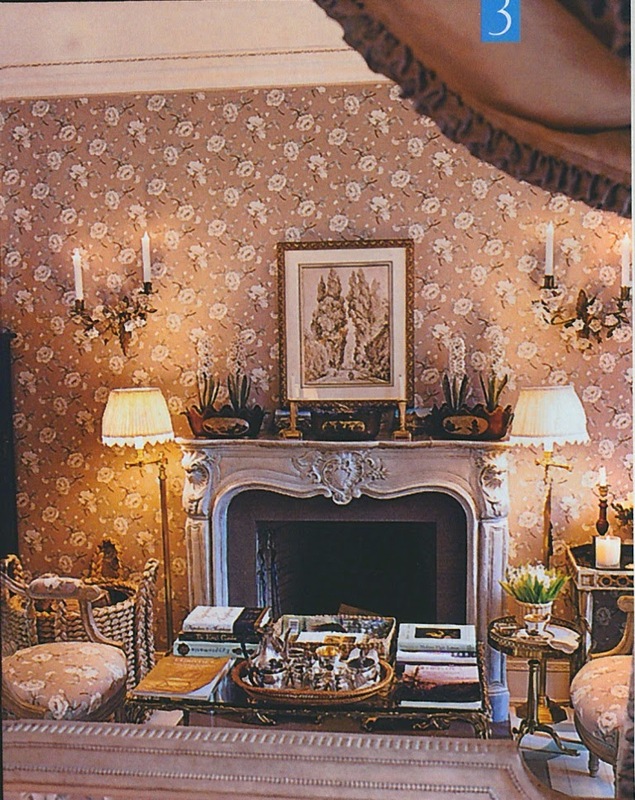 If anyone knows the well appointed home it is Howard Slatkin! There is no detail left behind, and I agree we should have our own bedrooms as luxurious as that for a guest! That floor! Like the one Baroness Pauline de Rothschild had in her set at Albany! Not too sure about the fabrics or the excessive curtaining at the french windows-- but that painted floor is, positively, what gives the room its clout. Stunning room! 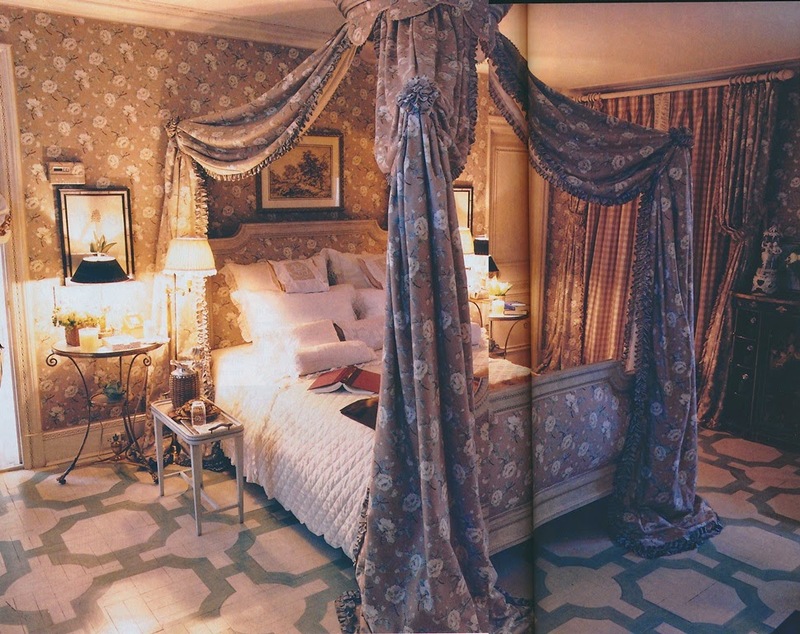 And I love how the bedroom was design in 1999 and still looks fabulous years later, that's good design!